Dublin Institute of Technology, College of Business, is hosting the ‘Spring School’ of students from St Petersburg State University of Economics and Finance (Finec) form 18th to 28th March 2015. Dr. Constantin Gurdgiev and Dr. Jim Hanly will address the students at an informal event on Tuesday 24th March in Dublin Institute of Technology. It will give the students an opportunity to gain insight into Irish – Russian economic and business issues. The current geopolitical climate added to bilateral sanctions between the EU and Russia is creating more obstacles for Irish – Russian Business. On Monday, 29th September 2014, the Ireland Russia Business Association (IRBA) hosted a business breakfast briefing with Gerard MacCarthy, Director, Enterprise Ireland Russia / CIS & Head of the Commercial Department at the Embassy of Ireland in Moscow speaking about the current business climate and developments in Russia. IRBA Chair Dr Constantin Gurdgiev covered the issues of economy and macro-risks e.g. 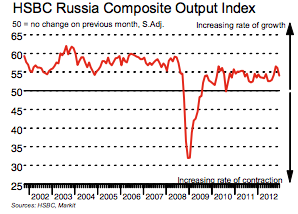 rouble valuations, credit supply, sanctions impact and risks for Russian demand side. The IRBA in collaboration with Enterprise Ireland will be holding the Russian Business Forum event where leading Russian and Irish companies will share practical knowledge of doing business in Russia and the panel of experts will be open for answering your questions. VENUE: The Plaza, Enterprise Ireland, East Point Business Park, Dublin 3, map. Keynote addresses by Minister for Small Business John Perry TD. Policy Document Draft Presentation, Discussion & Feedback Session: “Enhancing Bilateral Trade and Investments with Russia: Policy and Environment”. Sector Speaker Presentations and Q&A: “Russia – Opportunities & Challenges”. Logistics and Shipping – Customs and Duties. For enquires, please contact Kate Kostyunina via email at kate.kostyunina@enterprise-ireland.com or by phone on 01 7272015 or Jen Condon via email at jc@irba.ie or by phone on 01 6424178. A business event co-hosted by Dublin City Council and the Ireland Russia Business Association (IRBA) on Monday, 11th March 2013 heard Enterprise Ireland announce a 19% increase in Irish exports in goods to Russia from 2011 to 2012. The event heard that the months through November 2012, the export figure from Ireland to Russia was €603million, excluding services. Peter Finnegan, Director of Economy and International Relations with Dublin City Council commented that a key element of Ireland’s recovery rested with business development into the emerging Russian Market. Business expansion into and inward investment from Russia had the potential to create significant jobs. Dublin’s Russian Festival focused on the potential for increasing business with, and attracting investment from, Russia. Chairman of the IRBA, respected economist and commentator Constantin Gurdgiev provided participants with an insight into the trade dynamics between Ireland and Russia. He challenged current Irish policy and thinking. He emphasised the urgent need to establish Ireland’s reputation as a platform for entry by companies from BRIC economies and other emerging and middle income markets into North American and European Markets. He observed that in his view, too many Russians still think of Ireland as part of England and hold other stereotypes. He also encouraged Irish business to see Russia as a platform for entry into the Central Asia Marketplace and also into the countries of the CIS (Commonwealth of Independent States). By Constantin Gurdgiev. First published on trueeconomics.blogspot.com. Q3 2012 real GDP +2.9% y/y down from +4% in Q2 and +4.9% in Q1 2012. Expected full year consumption growth +4% y/y. Consumer confidence down to lowest in 18 months (since Q2 2011) in Q4 2012 at -8, Q3 2012 reading was -6. Composite PMI at 54.1 – a 4 months low.